Cleo Atkinson, 86, of Lorain, passed away peacefully on Thursday, November 15, 2018 at Oak Hills Nursing Center in Lorain, OH. Harry Atkinson on November of 1971. 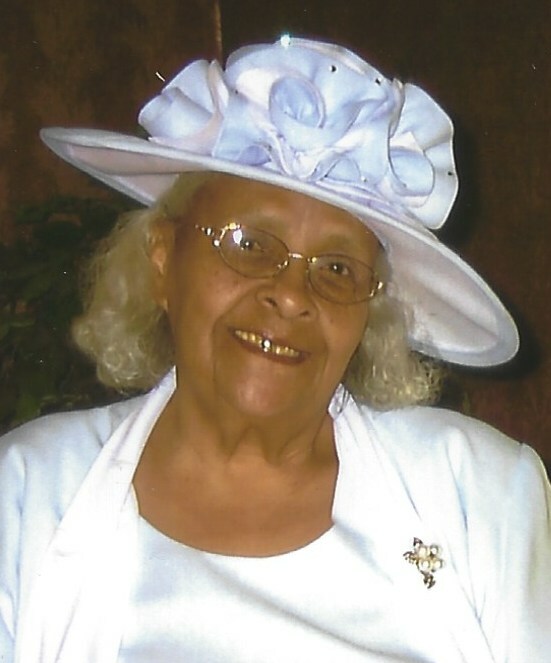 She was a member of Mount Zion Baptist Church and Holy Rock Church at Oak Hills Nursing Center. She spent her life-time raising and caring for her nine children. She enjoyed cooking, dancing, gardening, creating, designing latch-hook rugs and embroidery pieces. Her memory will be honored and celebrated by her seven surviving children: Donnie Daniel, Nathan Daniel, Marsha L. Siaopao, Linda Long, Harry James Daniel, Jennie Atkinson and Lisa Atkinson; and many grandchildren, great-grandchildren and a host of nieces, nephews, and friends. Her long-term care-givers at Oak Hills will fondly remember “Ms. Cleo” as their sweetheart. In addition to her parents, she was preceded in death by her husband, Harry K. Atkinson; sisters Irene Daniely, Ruth Reeves, Betty Canady, Adaline Canady, Francis Turner, Elizabeth King and brothers Albert Canady, Joe Canady, and Preston Canady; nephew, Thomas Searcy, and niece, Janice Turner both from Elyria; youngest son, Alfred C. Daniel and eldest son, Nathaniel C. “Junior” Daniel both from Lorain. The family will receive friends at Reidy-Scanlan-Giovannazzo Funeral Home and Cremation Services, 2150 Broadway, Lorain (440) 244-1961 on Monday, November 19, 2018 from 4:00 PM until the time of the funeral services at 7:00 PM, Deacon Jay Ogan, officiating. Private burial services will be held at Elmwood Cemetery in Lorain, OH at a later date. Online condolences and gifts of sympathy may be shared with the family by using www.rsgfuneralhome.com.